This is the fourth book in the Blue Bloods series, and things just keep getting worse for the characters. A year after what happened in Brazil, Schuyler and Oliver are in Paris. They're on the run, and are hoping to meet with the European Conclave to get their help in proving Schuyler's innocence. She's been blamed for the death of her grandfather. Bliss is confused. She wakes up in the Hamptons and has to go through her everyday ritual of remembering who she is because The Visitor has taken over her body. He's been in control for so long that she's slowly slipping away. 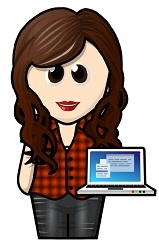 Mimi is now a Venator. She's also on the verge of bonding with Jack, but instead is trekking all over the world with Kingsley. They're trying to locate The Watcher--Bliss's younger sister--and in the process Mimi starts to see Kingsley in a different light. 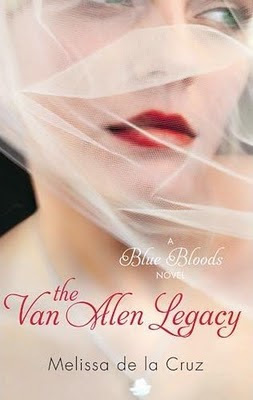 The Van Alen Legacy is another interesting and fast-paced story weaved by the three very different female characters. It's once again filled with shocking revelations, as Schuyler finds herself being led back to New York by her love for Jack, Bliss fights to save herself, and Mimi finally does something that doesn't completely revolve around her hair, make up, or arrogance.